I love Christmas. I’m sure many of you feel the same. There’s something about just stopping and being still all day, celebrating with those we love, watching the sort of tele we never would normally and eating far too much. There’s a problem though, the build up is often exhausting in today’s society. We need to attend countless work, club or family parties throughout December. We feel under pressure about the sort of presents we should buy, and for who. We have the financial worry as to whether we can afford all these parties and presents. Maybe we even have the worry of being alone at Christmas, or having to spend the day apart from the people we love! The time through December is the season of Advent. It’s a time of waiting for what is to come and a gift of time for us to use wisely. It’s a time where we have permission to be still and think about what the arrival of the baby Jesus means to us. 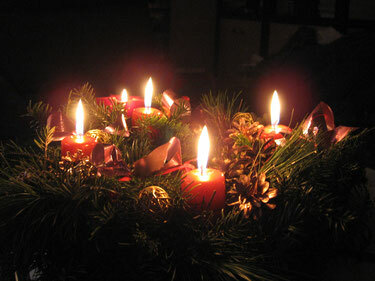 With all the busyness through December, the gift of Advent is often lost. Through Advent the parish churches will be holding some wonderful carol services, as well as a Christingle Service on Christmas Eve. A time for you to come and be still among the busyness. We’re also going to be running some sessions about Christianity which will be open to everyone. You can find all the information for these events on our website or Facebook page. I’d love to see you over Advent and Christmas, do say hi if we’ve never met before. If you know you will be alone at Christmas time, please do contact me and we can arrange for you to come to one of our services or for someone to visit you. I pray that this season of waiting offers each of you peace as we build up to the most wonderful time of the year, when we celebrate the birth of God among us.